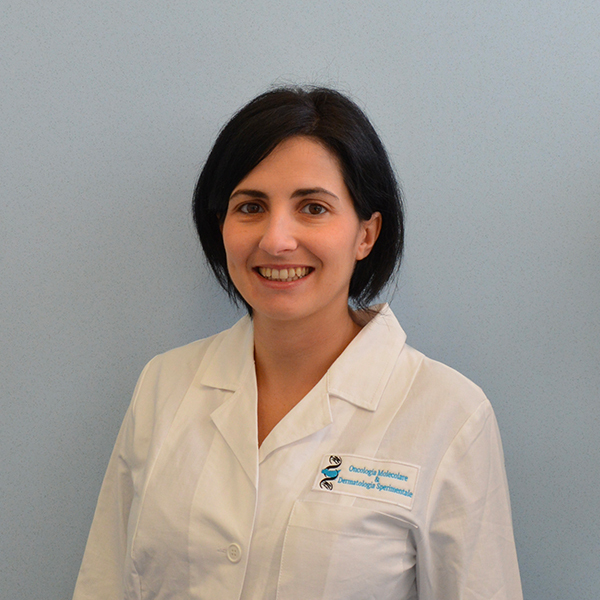 Dr Miriam Gaggianesi started her research activity in 2005 as trainee at the Laboratory of Biochemistry, headed by Professor Andrea Graziani, during the master degree internship at the Università del Piemonte Orientale “Amedeo Avogadro”. She received her Master’s degree in Medical and Pharmaceutical Biotechologies in 2007 and in the same year she was granted from the Università del Piemonte Orientale to join the PhD in Biotechnologies for human health, under the supervision of Prof. Graziani, working on the role of DGKα in cellular signalling. In 2009 she moved to the University of Palermo, where she joined Laboratory of Cellular and Molecular Physiopathology, under the supervisor of Prof. Giorgio Stassi, for 4 months. On May 2011 she obtained her PhD with a thesis titled “Multiple roles of Diacylglycerol Kinase alpha in cellular signalling”. From 2011she joined Prof. Stassi’s group, thanks to a 3-year PostDoc fellowship from “Fondazione Italiana per la Ricerca sul Cancro” (FIRC). the Italian Association for Cancer Research, sponsored by Sapienza University of Rome, until December 2014. She is currently working as a Postdoctoral Fellow at the Cellular and Molecular Oncology Laboratory.